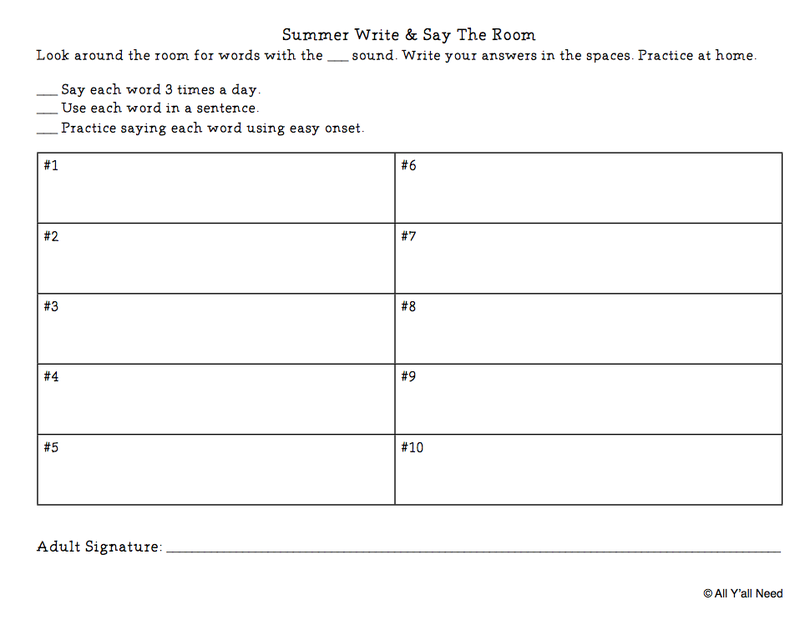 Yesterday, we posted Write and Say the Room: Spring to give everyone warmer thoughts. 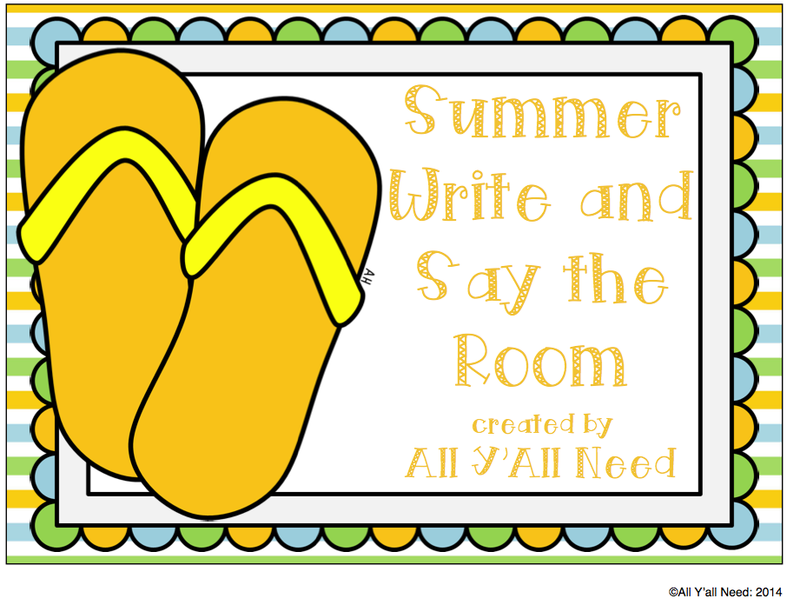 But if you're dreaming of sand and flip-flops, check out Write and Say the Room: Summer! For Write & Say the Room, cut out and laminate cards, then hang them around the room - or the school! 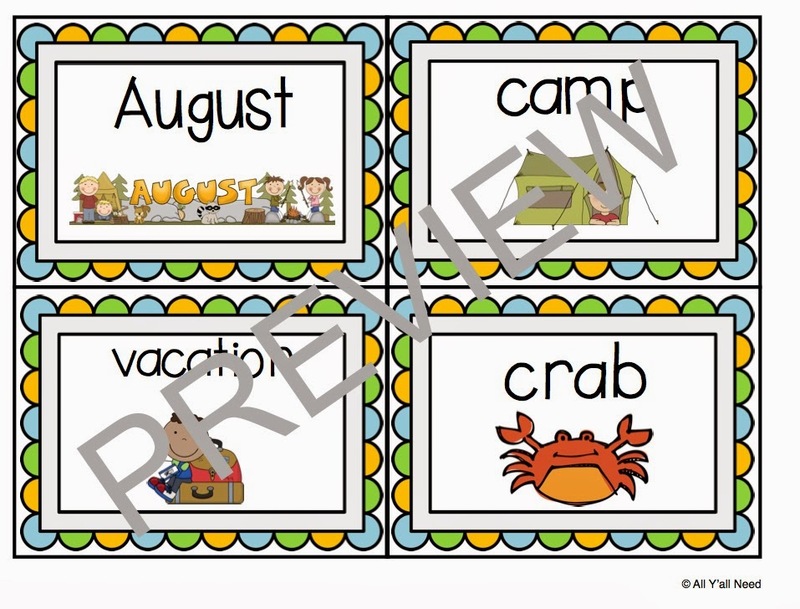 Give each student a clipboard, pencil, and recording sheet and have them find summer words with their artic sounds or new vocabulary words. Presto - take-home sheet! Write & Say the Room: Summer is $2.50 in our store, All Y'all Need. Thanks for taking a look! It's a TSHA Sale! 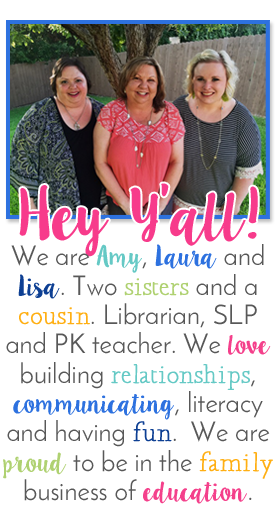 Oh, and TpT, Too! TpT Winter Sale: What's In My Cart? Manic Monday: It's TSHA Week! Wild Wednesday: What's That Lisa's Drinking? Manic Monday: Life is the Bubbles!